I live in a bubble. 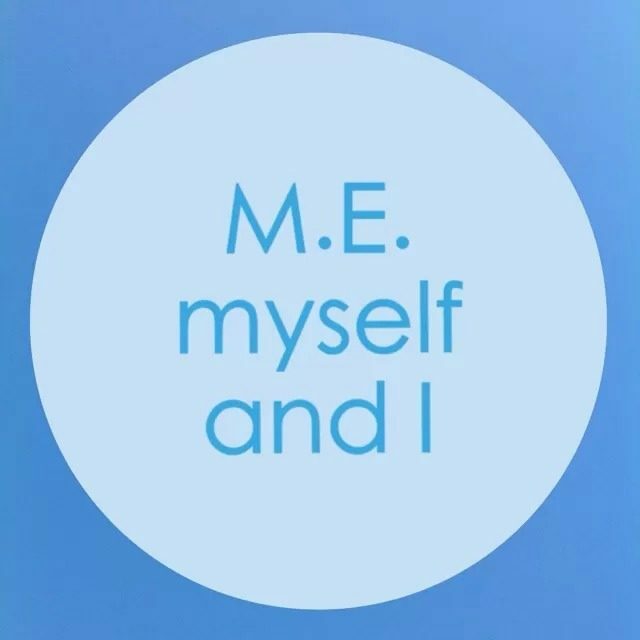 As M.E sufferers we all do. I no longer fit in to the real world. I can’t even pretend that I do anymore. Every area of my life has been affected. I cannot nip to a cafe for a coffee with my friends because it is no longer that straightforward. I need to first of all be well enough to travel and leave the house. There is the issue of parking to think about. Will it be too far for me to walk to? Will there be a seat spare when we get there that isn’t too near the door so that I don’t get cold, and not next to the radiator so that I don’t get too hot and ‘crash.’ I sound like Sheldon Cooper! If it’s busy will it be too overwhelming for me, with the noise and the number of people and the hustle and bustle? If someone accidentally bumps into me will I be able to avoid going in to shock and turning into a zombie? Will the milk in the coffee agree with me or make me ill? Will it be too bright in there so I’ll have to wear sunglasses on a rainy, wintery day? Maybe people will think I’m a celebrity going incognito… Will I manage to order my own coffee or confuse the waitress with my slurred speech and silly sentences? Will they think I’m strange? I am a product of this illness. My symptoms make me feel either drunk or hungover all of the time. This adds to the sense of living in a bubble. My mind is not clear because of the brain fog and things can be distorted. I get a bittersweet feeling after mixing with the real world but I won’t shut myself away though. I will face anxieties head on. I use rescue remedy instead of the tablets prescribed to me for anxiety…the tablets mess with your heart beat and M.E. already does that. I sometimes have to remind myself that to feel poorly and so fatigued all the time is actually not normal. Living in this bubble it is all I know. It is my norm. The brain fog and living in this bubble have made me less aware of my new life. I am ‘in’ it and so mostly I’m too poorly to be aware of the changes to my life. I think my illness and condition is harder for those around me than it is for me. The bubble acts as a buffer I suppose, but they see the cold hard truth and the difference in me since being ill. It is always hard to see the ones we love the most when they are ill, but my family has had to endure it everyday for over two years. They live with the knowledge that there is no cure or treatment. I am in limbo. Not dead but not nearly as alive as a human being should be. There is nothing they can do for me to fix me. I hate that this illness has consumed their lives too. I cannot put into words how much I despise that fact. They do not realise that everything they have done so far, and everything they do everyday, has led to the progress and improvement I have already made. Without them I am nothing. They have prevented me from losing my marbles. I have a friend who texts me nearly everyday. She rarely asks me how I am and that is the way I like it. It’s a tricky question to answer afterall. Instead we chat about music we’ve heard, TV programmes we’ve watched, boys, the normal, everyday things that I rarely get to talk about anymore because my life has become consumed by M.E. These messages burst the bubble that I live in. They remind me that there is a world out there that I am still a apart of in some small way. Those messages keep me going. I am not forgotten. Texting is hard for me now and I find it easier to use facebook instead, and, even though I am sometimes not well enough to reply or carry on with the normal conversations, still she texts me. Nearly everyday for over two years. She has her own life and work and family and friends, but still she does not forget about me. She might not realise it but those messages have helped to keep me going. They have made me feel a bit more normal at a time when I know that I am not. They have kept me sane. This was a hard post to write. I’m not sure I have got across what I trying to get across. It also is the first post I have written that made me cry while I was writing. Perhaps it was thinking about the effect this plague has had on the people I love the most. That has been, without a doubt, the hardest thing to deal with. I cannot put it into words. They get no respite. I am always there and I am always poorly. I always need looking after. At the age of 23 I need a babysitter. I am classed as a vulnerable adult now. Me. Anna Jones. Ex-Deputy Head girl, captain of the sports teams, deputy manager of a children’s holiday scheme. I owe everything to my family and close friends. I will never be able to repay them for all that they have done. It breaks my heart that I can’t change my situation to make it better for them. Previous To post or not to post, that is the question.